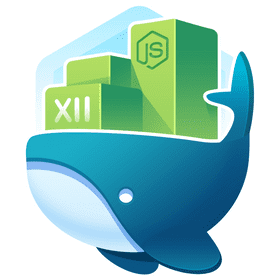 I’ll show you a stupid fast and simple way to create an express app with NodeJS, then deploy it with Docker. All you need is a simple text editor. Install Docker by pulling out the appropriate build from https://docs.docker.com/engine/installation/. Now, when you visit http://localhost:3000 on your local machine, you should see something that will make Golden State Warriors fans cry. Hint: Check out nodemon so you can make changes to your app code and not have to restart node on every change. Now that our app is running, let’s setup our Docker config. We want to exclude our local packages from Docker, as these will be installed at build time. The Docker instructions are pretty simple. We just copy over the package.json file, install our npm modules, then copy our app over and run npm. docker build -t test . Now, when you visit http://localhost:3000, you can see the same output as before, but things are now running from your Docker container. You can now push your Docker image to a private repository or build service, then deploy to production, and know there are no dependencies, build issues, or anything else to worry about. It will just work.